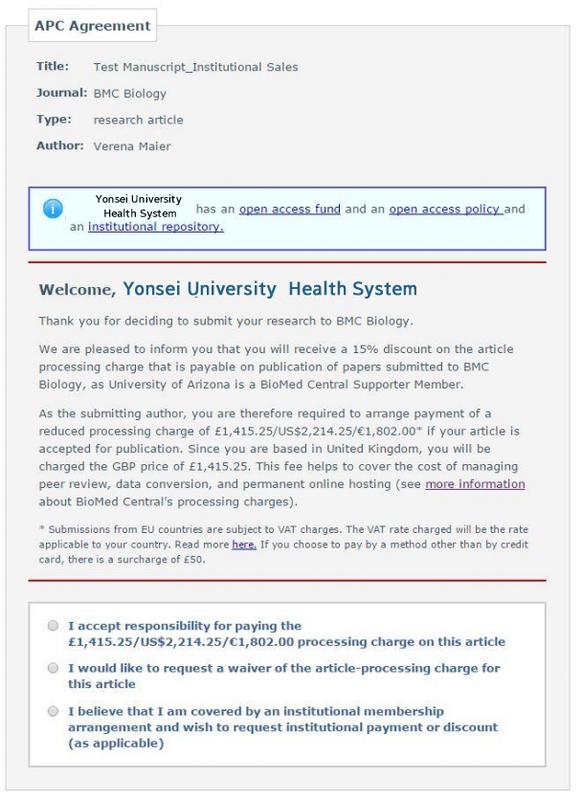 You can get a 15% discount on Article Processing Charge (APC) when you submit a paper to BioMed Central, SpringerOpen Publishing Co. from Yonsei University Medical Center since 2017. APC discounts by IP authentications are not available due to an system error of BMC Publishing. 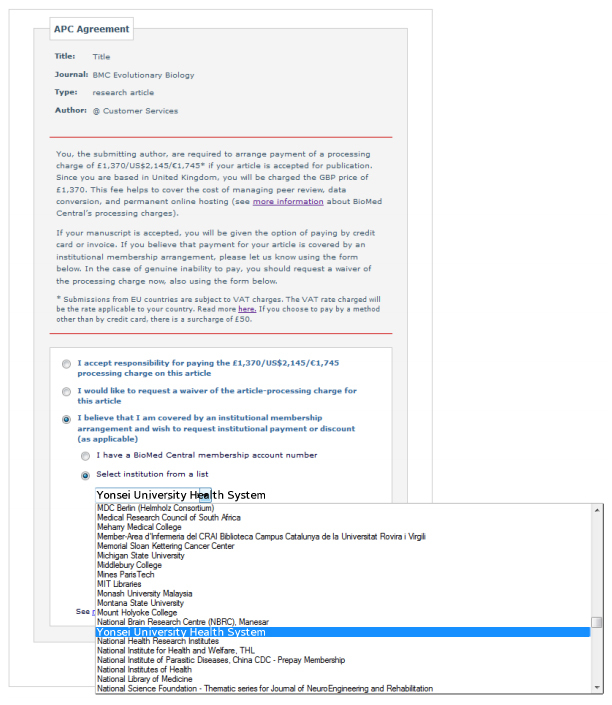 Please verify institutional membership with E-Mail by select “I believe that I am covered by an institutional membership…” menu and select Yonsei University Health System from the institution list. If you select Yonsei University Health System in the Select institution from a list, the authentication process will proceed through E-mail (@ yuhs.ac). How much is BioMed Central charging?